LogiGear announced new continuous delivery findings as part of its software industry survey series designed to assess the state of software testing. This is the second survey in the four-part series. 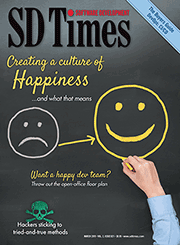 The survey on DevOps, and found most known pain points of transitioning to DevOps involves getting groups that don’t naturally work well together to have the same goals, and financial commitments that require a great deal of planning, training and culture change. 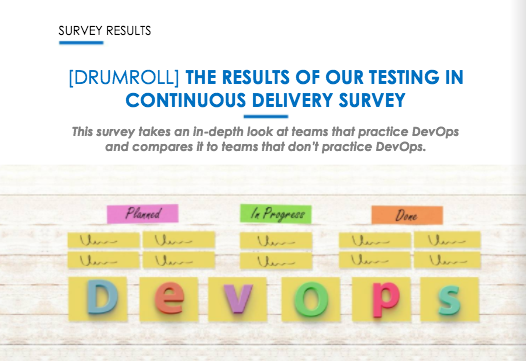 Other key findings included: about half of respondents suffer from environment or test data problems, more respondents believe DevOps and continuous delivery are the future, and a third of respondents that don’t practice DevOps say their agile and Scrum practices are in good shape. A new company wants to help accelerate the digital transformation. appOrbit is coming out of stealth mode today with the appOrbit application platform, a new solution to automate modeling, delivery, and management of enterprise software onto any modern infrastructure. Key features include: ability to easily define builds, a graphical user interface, automated security policies, data on demand, define user roles, and the ability to choose the infrastructure. Comodo, a cybersecurity solution provider, announced its first free endpoint detection and response solution. The solution enables any sized organization to detect malware on endpoints, investigate, and respond to security incidents. It continuously monitors endpoints, provides advanced search capabilities, includes real-time visibility, and features a retrospective analysis on what has happened. PDFfiller is updating is PDF platform with a new intuitive editor and signature manager. API 2.0 is the latest release to PDFfiller’s PDF document solution that allows users to embed the ability to edit, host and sign documents into apps or websites.